The animation industry is crazy competitive these days, with more than 64,000 talented full-time artists working at studios, design firms, and creative agencies across the U.S. alone. Thousands more work part-time or independently in a range of creative industries, while others work in less common industries such as architecture, engineering, law and medicine. Though competitive and constantly evolving, students are finding ways to stay a step ahead of the competition. One way is to specialize in an in-demand area (or two). Advertising & Marketing, Game Art & Design, Visual Effects, and Storyboarding and Character Design are just a few. Take Storyboarding and Character Design, for example. 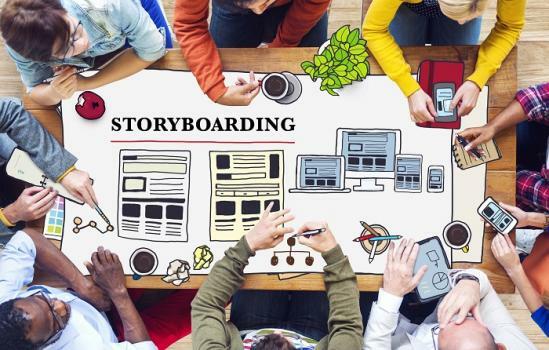 Storyboard artists are in high demand in the feature film animation and television industries. They are also sought after by visual effects and live action film studios, game design companies, marketing and advertising agencies, software development firms and publishers of comics and graphic novels. Character design is also a popular role in animation, game design, live action film, and comics as well as game art and children’s literature. Storyboarding and Character Design programs prepare students for these industries and others by offering concentration courses such as Story Development, Hand-Drawn Character Animation, Painting, Screenwriting, Visual Design for Games, Making Comics, Intermediate Drawing, Cinema & Art, Animation Production, Editing, Drawing Objects, and Three Dimensional Foundations. Animation courses often include Character Modeling, Stop Motion Animation, 3D Animation, Motion Graphics, 3D Texturing and Lighting, Environment Modeling, Advanced 3D Character Animation, and Experimental Animation. Workshops, projects, and internships are also part of the curriculum. Depending on the school, Storyboarding and Character Design may be offered as a single focus area or as separate concentrations. Students may also have the opportunity to customize a focus area by choosing from a range of electives and certain programs may offer heavy storyboard and/or character design coursework. Program covers the pre-production process, including character design and storyboarding. Whichever degree option students choose, graduates will have the skills needed to seek positions in a number of in demand industries. Even better is, salaries for these positions overall are competitive. According to the Bureau of Labor Statistics (BLS), Animators and Multimedia Artists (includes Storyboard Artists and Character Designers) averaged $72,200 in 2016 (mean) and $65,300 (median). The highest earning artists averaged $90,450 to $115,960. Independent Animators and Multimedia Artists averaged $74,940. Overall employment of multimedia artists and animators is projected to grow six percent from 2014 to 2024, adding around 3,900 new jobs by 2024. This growth rate is about as fast as the average for all occupations. Not too shabby huh? Looking for other animation programs? Find a School here. "Animation (BFA): Storyboarding and Character Design Concentration." College of Computing and Digital Media. DePaul University, 2001-2014. Web. 29 Sept. 2017. "Multimedia Artists and Animators." Occupational Outlook Handbook, 2016-17 Edition. Bureau of Labor Statistics, U.S. Department of Labor, 17 Dec. 2017. Web. 29 Sept. 2017.